Love the idea of homemade Christmas gifts, but you were standing in some other line when they were handing out the crafty gene? 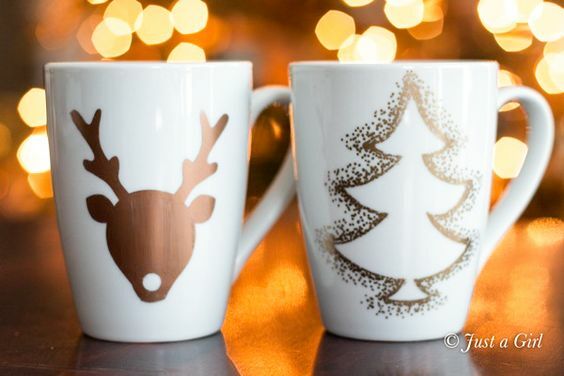 No worries; these easy homemade Christmas gifts for women will have you looking like a Martha Stewart clone (but without the fuss)! 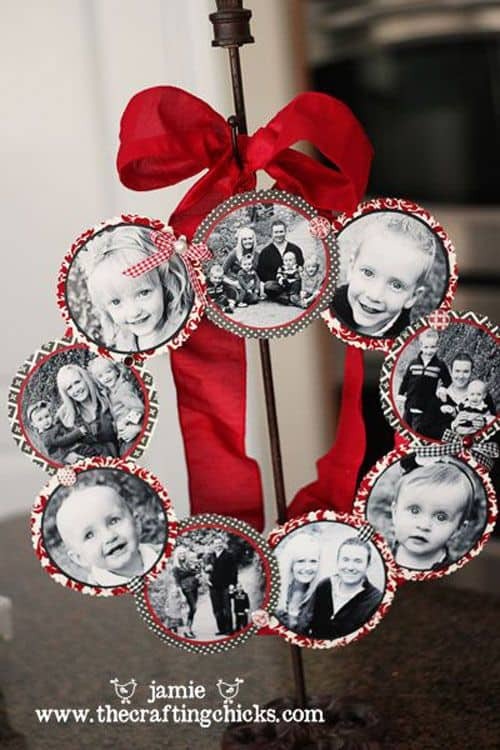 Mom or Grandma is sure to appreciate this lovely photo wreath filled with pictures of the family! They'll probably want to hang it up year 'round, so consider using colors that aren't too Christmas-y. What woman can't use a nice sugar scrub to soothe their skin? 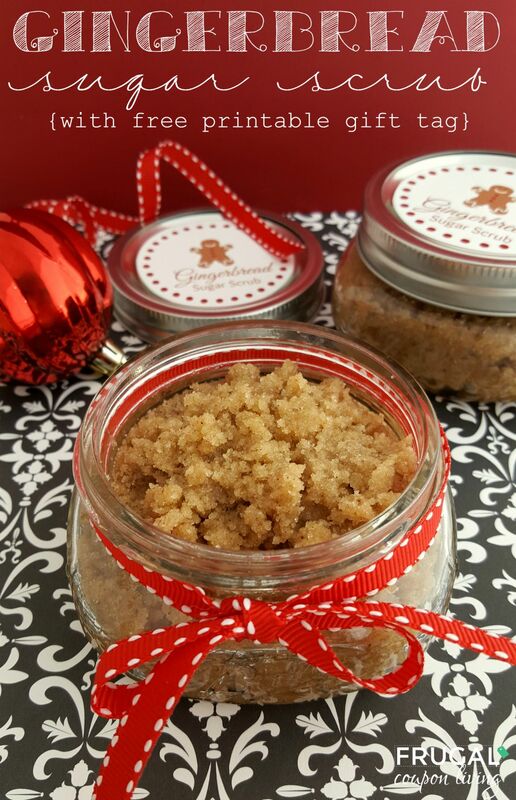 This easy gingerbread sugar scrub fills their house with the smell of Christmas - and you can make it with ingredients you can get at your grocery store! Be sure to print the adorable tag to give your gift a little extra style. 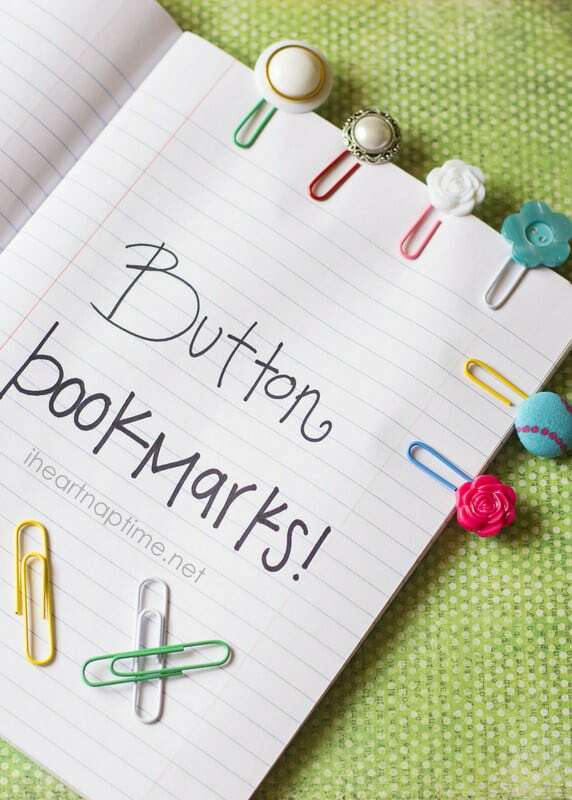 Adorable button bookmarks are a lovely stocking stuffer or small gift for a book-lover. You could pair it with a book or a bookstore gift card. Easy, affordable and scrumptious, these hot cocoa mix ornaments are a fun little gift for everyone on your Christmas list. You can use a store-bought mix, or use your own favorite recipe. They're a great little stand-alone gift or you can add a mug or chocolate covered spoon for a little extra touch. 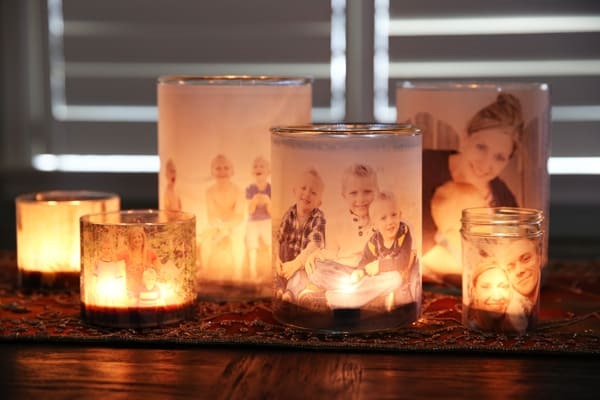 Glowing photo luminaries are a unique gift that are a wonderful way to showcase favorite family photos. The perfect gift for Mom, Grandma or your mother-in-law, the trick is to print the pics on vellum paper (which you can find on Amazon). Have a coffee-lover on your Christmas gift? 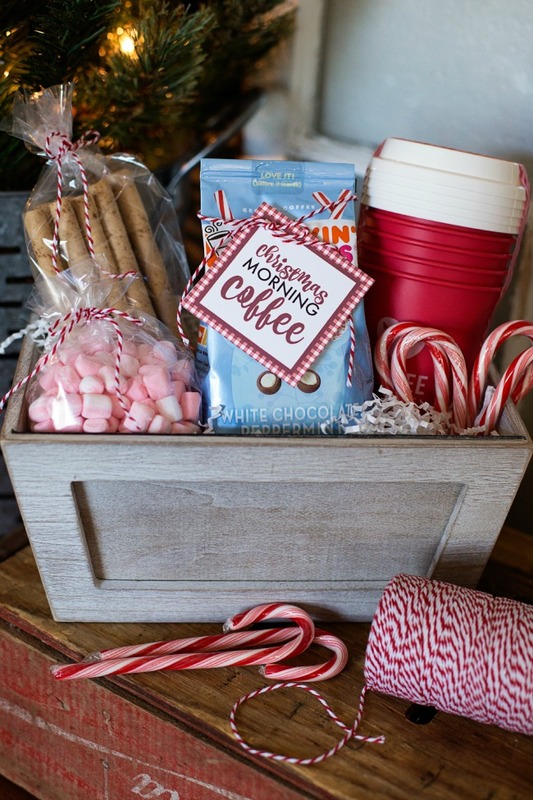 Impress her with an easy homemade Christmas coffee gift basket. You can get everything you need at your grocery store, and just print the cute gift tag at home to create an easy homemade gift that's sure to impress! 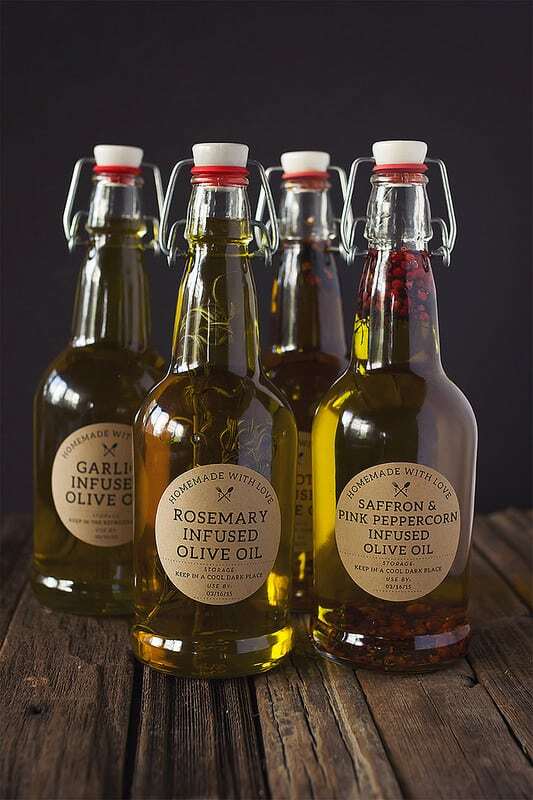 Homemade infused olive oil is a gift that's sure to impress your favorite chef! It's actually very easy to make (who knew?) and you can print the cute labels on your home printer. Be sure to whip up a batch for your house as well! And you don't have to be an artist...just apply stickers and use an oil-based Sharpie (which you can get at Amazon) to trace around the sticker. See the complete directions at Just a Girl blog. Here's another easy - and useful - DIY photo Christmas gift idea that Mom or Grandma is sure to love! Grab some ceramic tiles, Mod Podge and your favorite pics and whip out a set of photo coasters. Actually, you should probably check out the easy tutorial - there's a little bit more to it than that! 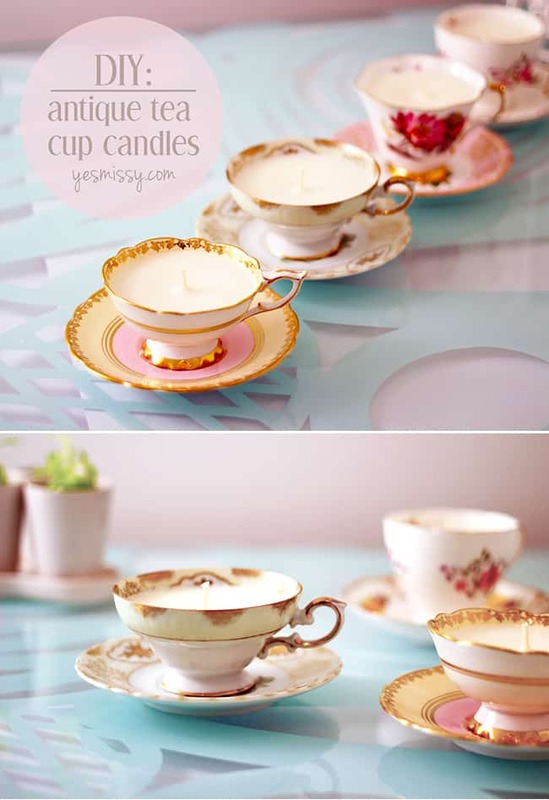 Beautiful antique tea cup candles are elegant, timeless - and a cinch to make! And unless you have a supply of antique tea cups on hand, they give you a great excuse to check out your local antique or thrift store. 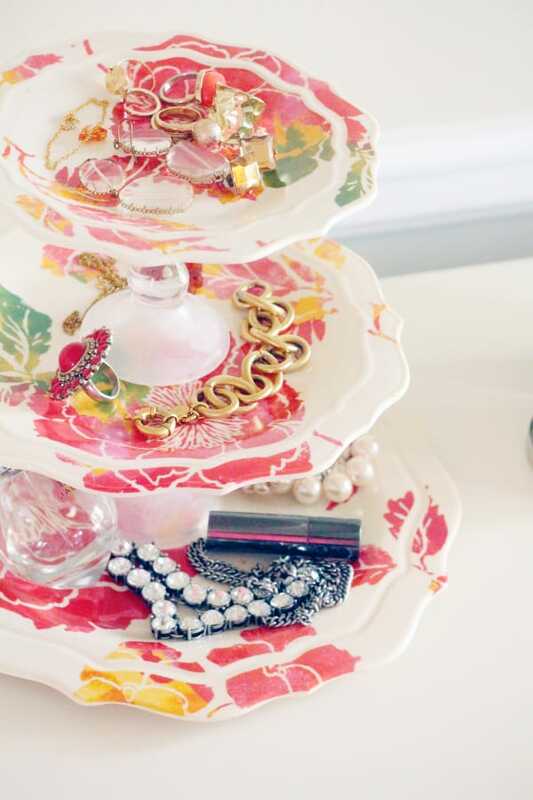 The jewelry-lover on your list will love using a homemade jewelry tray...and you'll love how easy it is to make! Check your local discount store or flea market for inexpensive plates. 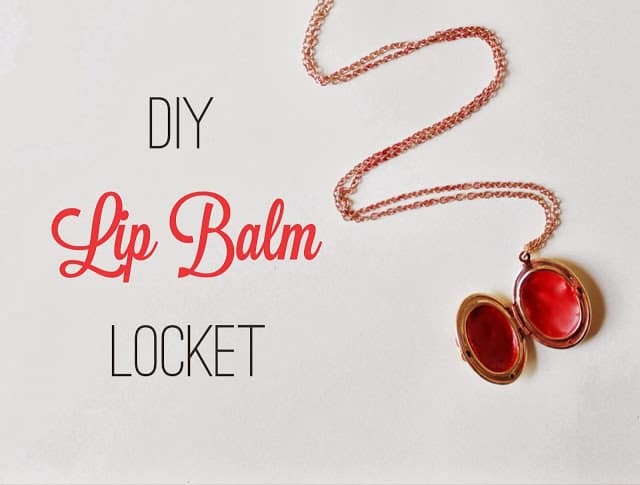 The fashionista on your list will love this DIY lip balm locket that combines jewelry and makeup into one great gift! Don't worry, you don't have to create your own lip balm....you just melt (using a hair dryer) lipstick into the locket. Check out the directions at Radical Possibility. 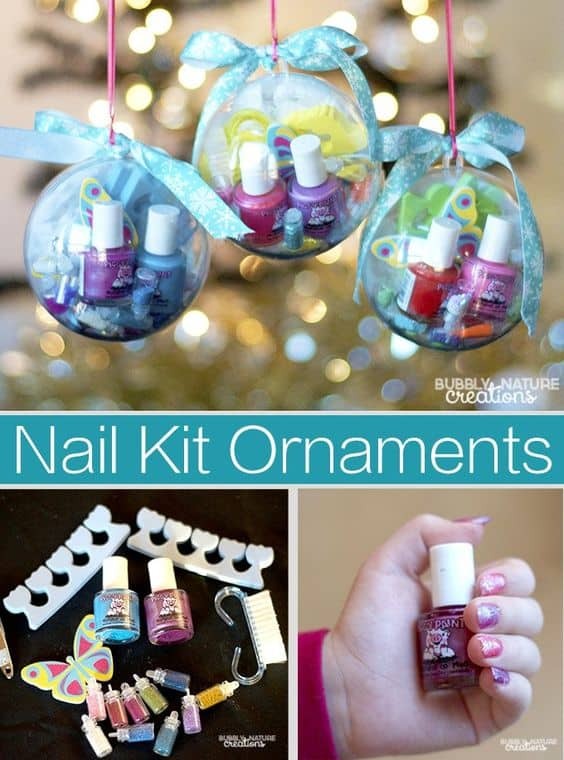 Here's another easy DIY Christmas gift for girls of all ages...nail kit Christmas ornaments! They're shown here with children's nail polish, but I think this would work great with any nail polish. Your favorite fashionista will adore it!